Ross & Cromarty Roots | William & Isabella (Cowie) Gair, William & Pat. William & Isabella (Cowie) Gair, William & Pat. 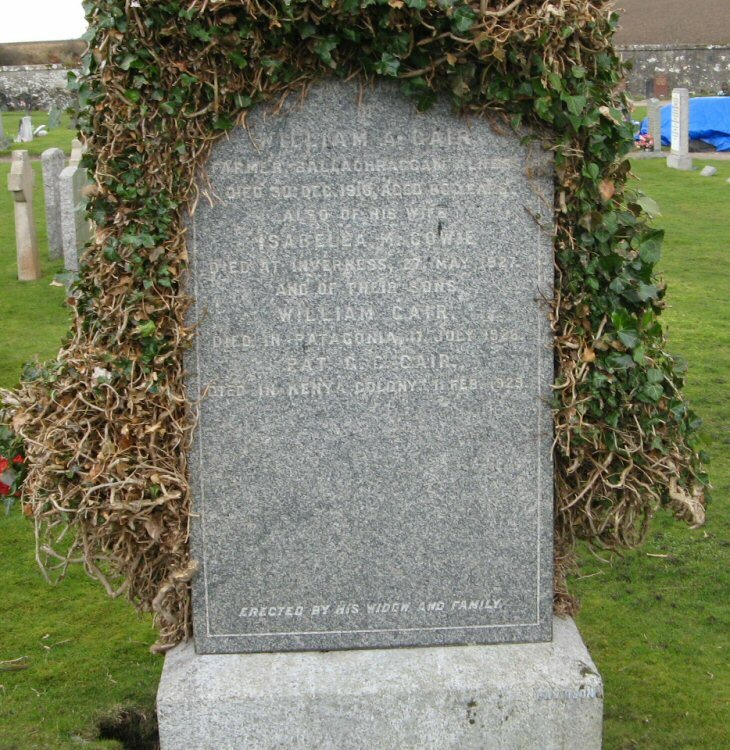 In/loving memory/of/WILLIAM A. GAIR/farmer, Ballachachraggan, Alness/died 30 Dec. 1916, aged 80 years/also of his wife/ISABELLA M. COWIE/died at Inverness 27 May 1927/and of their sons/WILLIAM GAIR/died in Patagonia/7 july 1926/PAT G. GAIR/died in Kenya Colony, 11 Feb. 1929. Picture Added on 18 March 2009.